The Boston Globe reported Monday that the 74-year-old former vice president would keynote the New Hampshire Democratic Party's McIntyre-Shaheen dinner in New Hampshire later this month, an annual event that often features presidential candidates hoping to win the first primary in the nation. 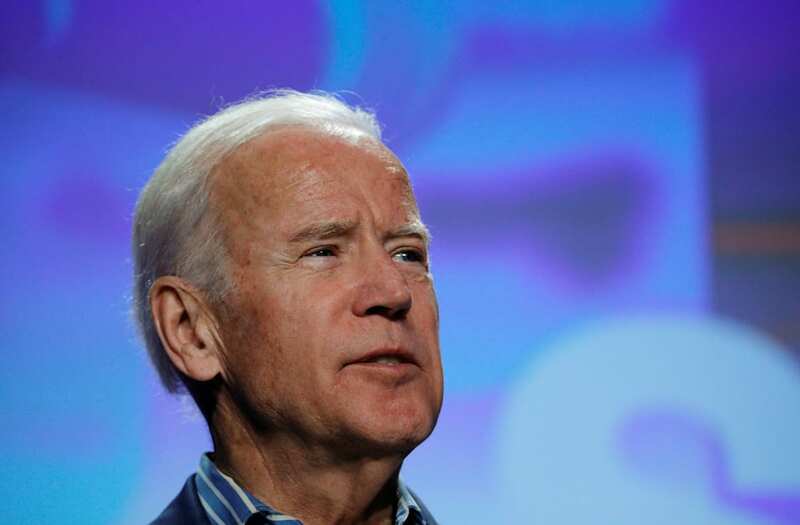 Politico's Gabriel Debenedetti pointed out that Biden turned down a similar event in the run-up to the 2016 election, somewhat tempering speculation that he was seriously considering a run. Citing the recent death of his son, Biden declined to run in 2016. But the former vice president has recently slammed Trump on issues like proposed federal funding to National Institute of Health and the president's failed attempt to repeal the Affordable Care Act. "I think I could have won," Biden said earlier this month. "I had a lot of data. I was fairly confident that if I was the Democratic Party nominee, I had a better-than-even chance of being president." Free of the burdens of office, Biden's popularity has soared. A Public Policy Poll released last week showed the former vice president leading a field of lesser-known Democratic candidates in a theoretical matchup with Trump in 2020. In the poll, Biden garnered 54% support to Trump's 40% support, while Sen. Bernie Sanders garnered 52% to Trump's 51%, and Sen. Elizabeth Warren got 48% to 43% support.